This year is going to be a game changer for Threod Systems. 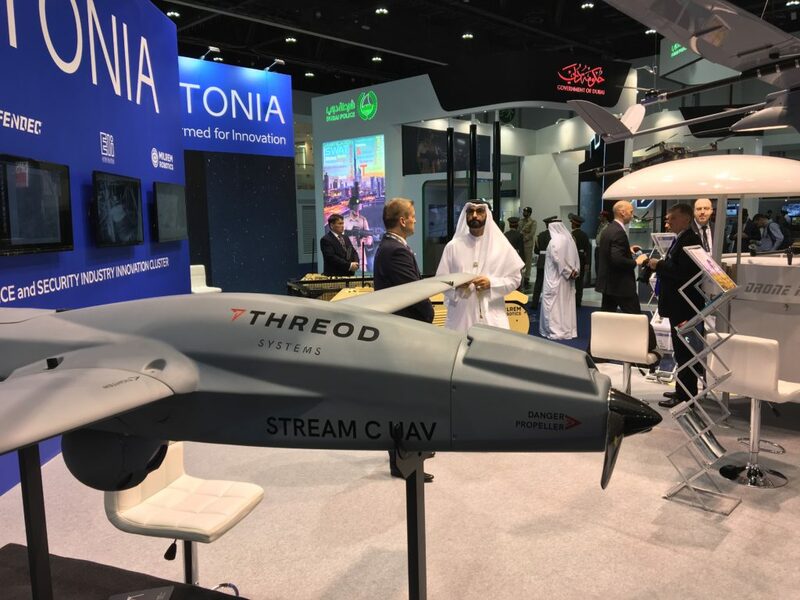 We are about to present our latest development STREAM C UAV VTOL concept at IDEX 2019 in Abu Dhabi. 2018 was a great, challenging year for Threod Systems. It was full of events, demos, new developments and contacts. We would like to share a short video, summing up the year and wish everyone a prosperous and happy 2019! Threod Systems in collaboration with Milrem supported British Army Warfighting Experiment. For 4 weeks from mid-November to mid-December British Army organized an international warfighting experiment. The Experiment for 2018 was named Exercise Autonomous Warrior (Land). The exercise was held on the Salisbury Plain and the British Army Battleground. 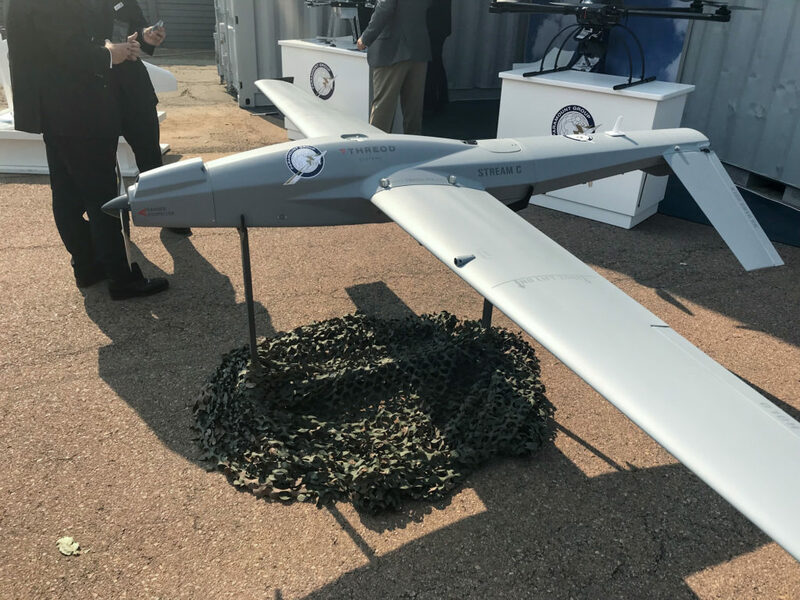 It brought together high-tech industry leaders in Robotic and Autonomous Systems (RAS). 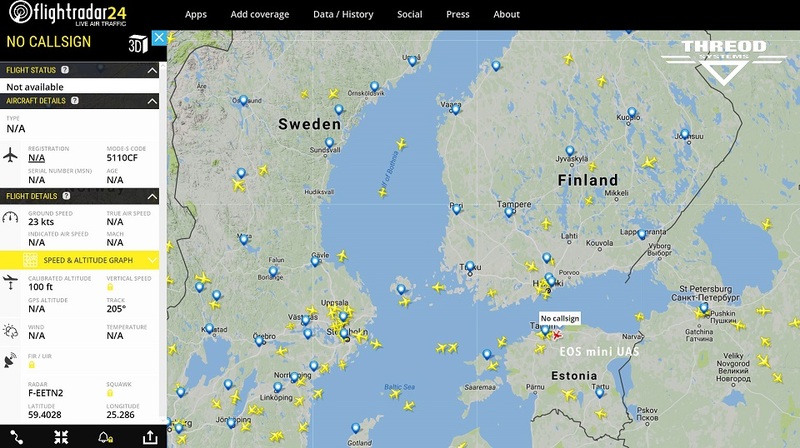 Threod Systems STREAM C UAV has gone VTOL! 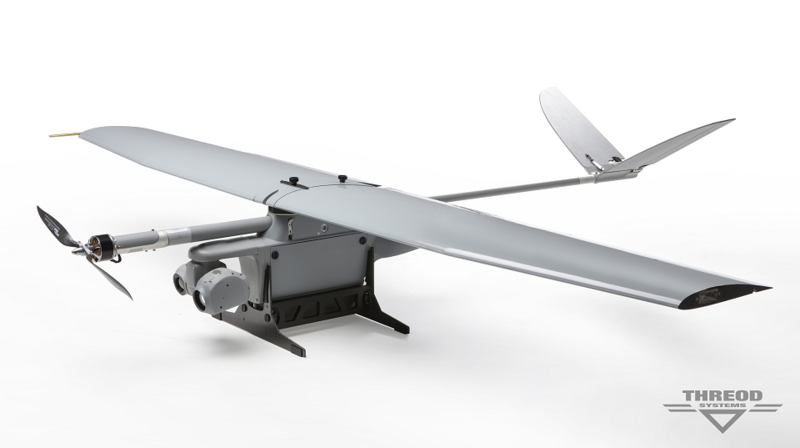 We are proud to announce that Threod Systems has successfully integrated VTOL capability into our Stream C UAV. 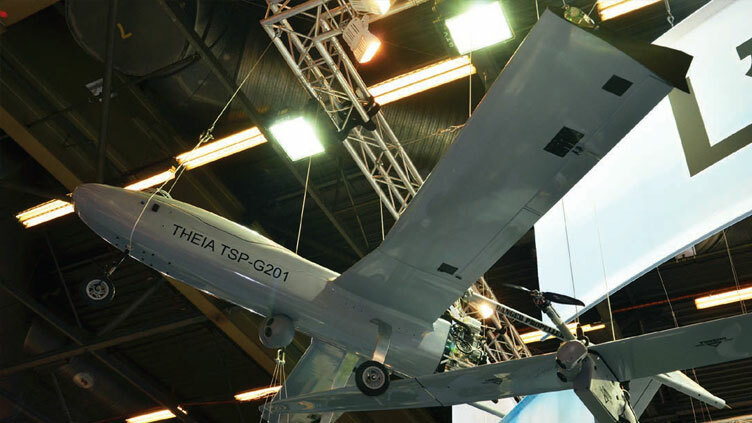 Stream C is perceived as NATO class I UAV that does the class II job and with the new feature Threod is aiming for an utterly competitive position on the market. 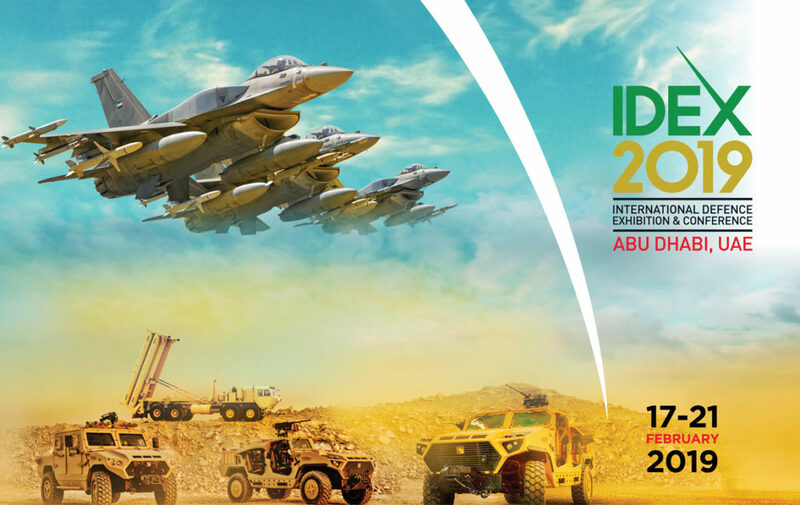 The first public presentation of Stream C VTOL will be at the international defence exhibition IDEX 2019 in Abu Dhabi from 17th to 25th of February. Last week Threod Systems hosted a delegation from Moldova Border Police. Delegation was accompanied by representatives from Estonian Police and Border Guard Board. 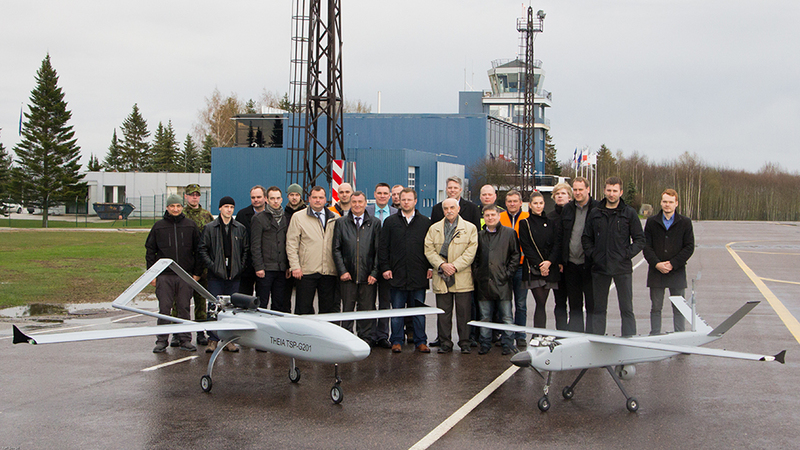 This week Threod Systems participated in the Estonian Defence Industry Introduction Day. 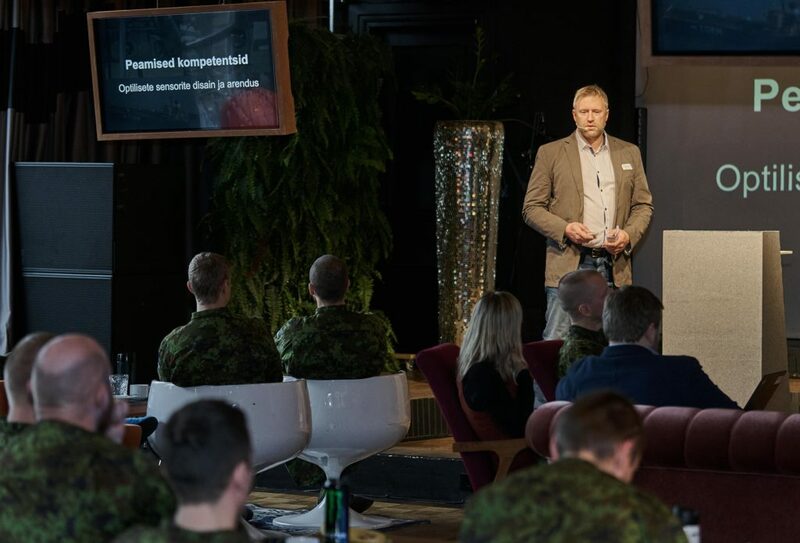 The aim of the event was to introduce companies engaged in the defence industry to Estonian Defence Forces, Ministry of Defence, Ministry of the Interior, Police and Border Guard Board, Centre for Defence Investment. 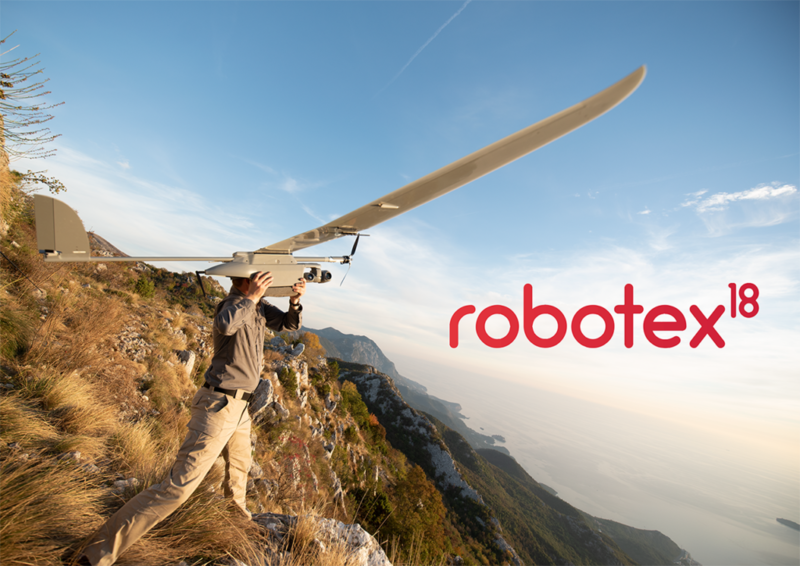 Threod Systems is participating in Robotex 2018, which is held in Estonia for the 18th time in a row and is the biggest event of its kind in the world. 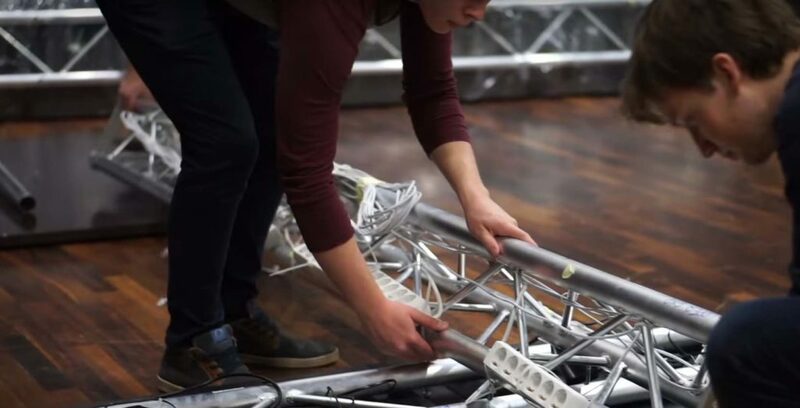 It brings together best engineers, high-tech companies, freelance geniuses that present their brilliant breakthroughs in robotics. We are proud to be a part of it and we definitely have something to show. 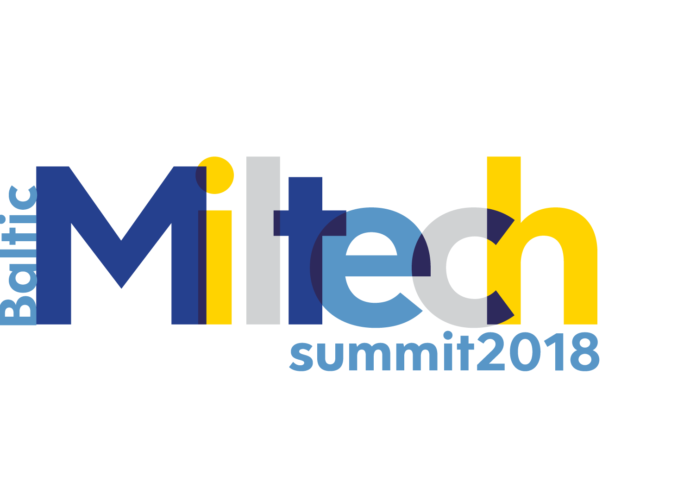 Baltic Miltech Summit is held in Lithuania and is dedicated to military technologies and new trends in defence industry in the Baltics and around the world. 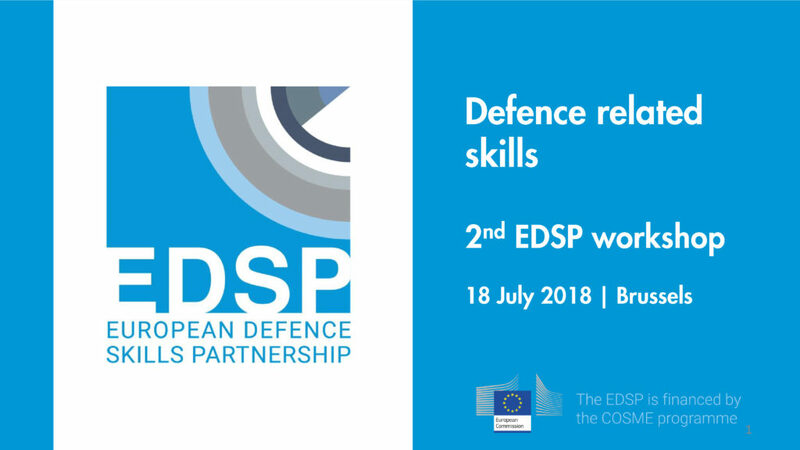 It brings together high-level political and legal figures, representatives of defence industry companies and bright minds from high-tech startups in order to generate new ideas and discuss the emerging trends. 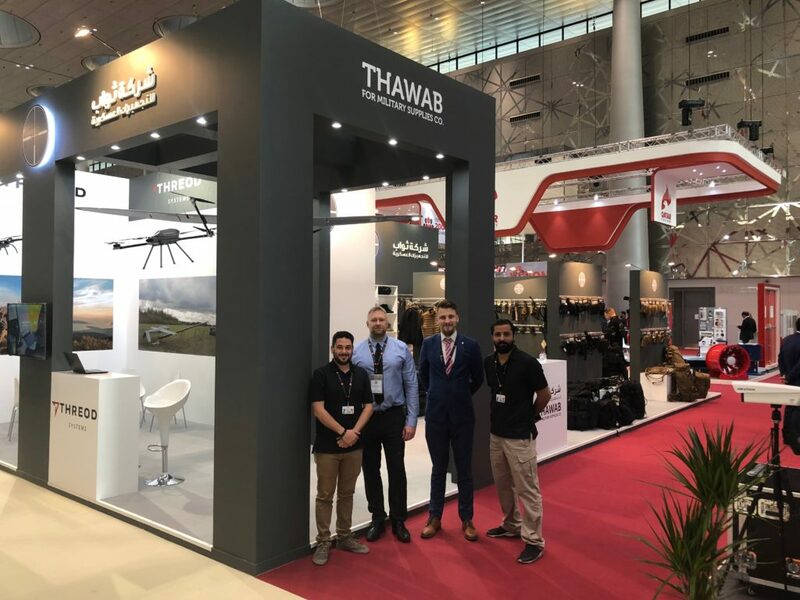 Threod Systems recently signed a partnership agreement with Qatari company Thawab Hunting Equipment & Arms Maintenance, that promotes Threod Systems products and services in the region. A partnership agreement was signed during the exhibition and accordingly, Paramount Group became the official distributor of Threod Systems in Africa. 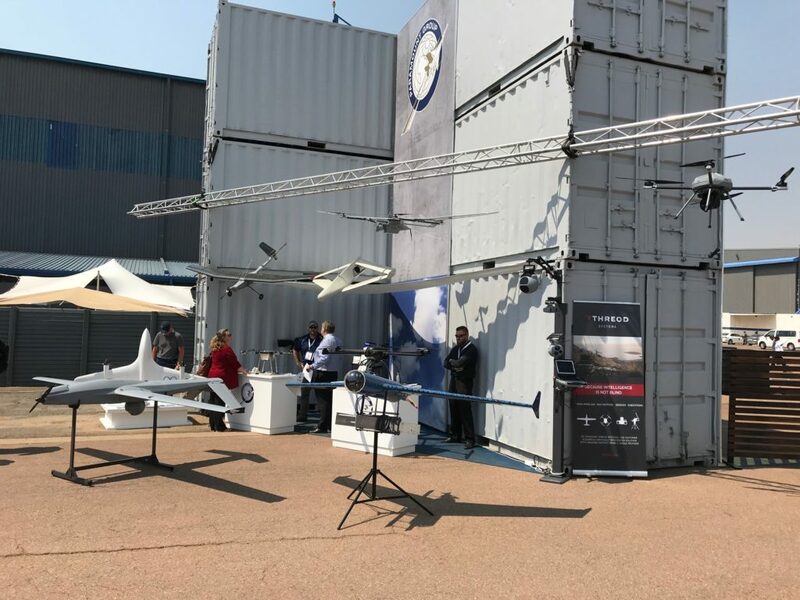 The Africa Aerospace and Defence (AAD) is one of the largest Africa’s aerospace and defence expo that combines both a trade exhibition and an air show, taking place at the Air Force Base Waterkloof, South Africa. 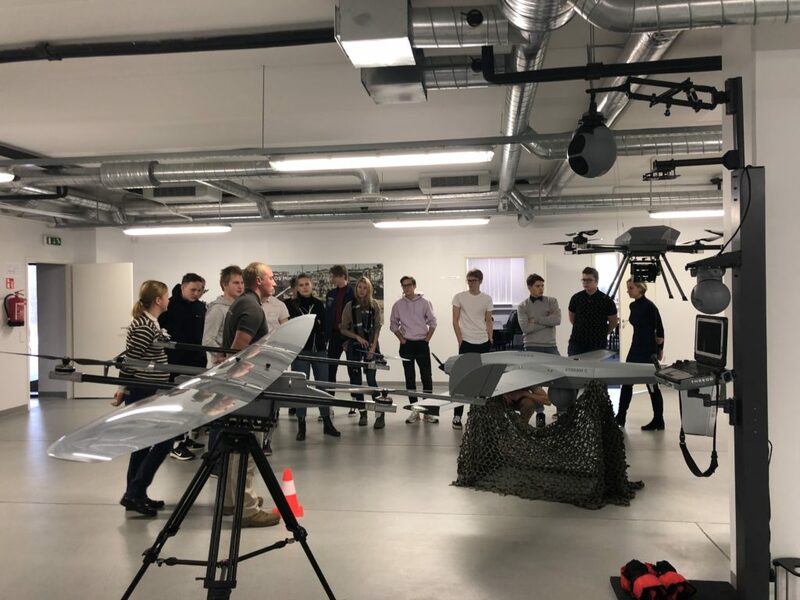 A Seminar „Export Day“ was held on the 30th of August, organized by the Federation of Estonian Engineering Industry together with the Innovative Manufacturing Engineering Systems Competence Centre (IMECC). 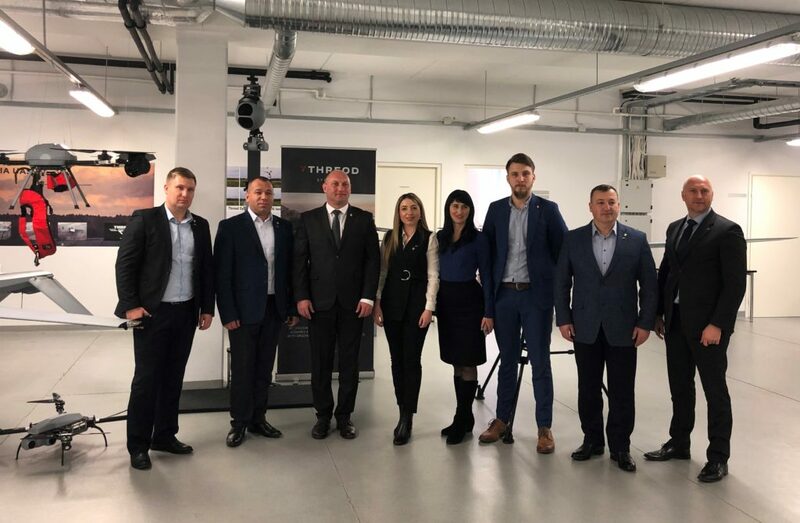 On July 25, 2018, a Ukrainian delegation, led by the Head of the State Border Guard Service of Ukraine Mr. Petro Tsygykal, visited Threod Systems’ facilities. The delegation was accompanied by the representatives from the Estonian Police and Border Guard Board. Eurosatory is one of the biggest shows in the region gathering defence industries from all around the world. 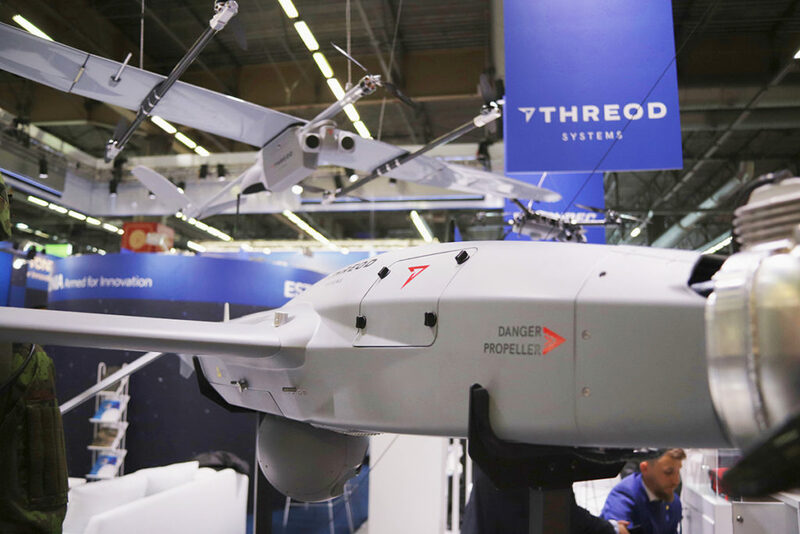 Threod Systems is presenting a range of UAVs, gimbals and subsystems at Eurosatory 2018 in Paris. 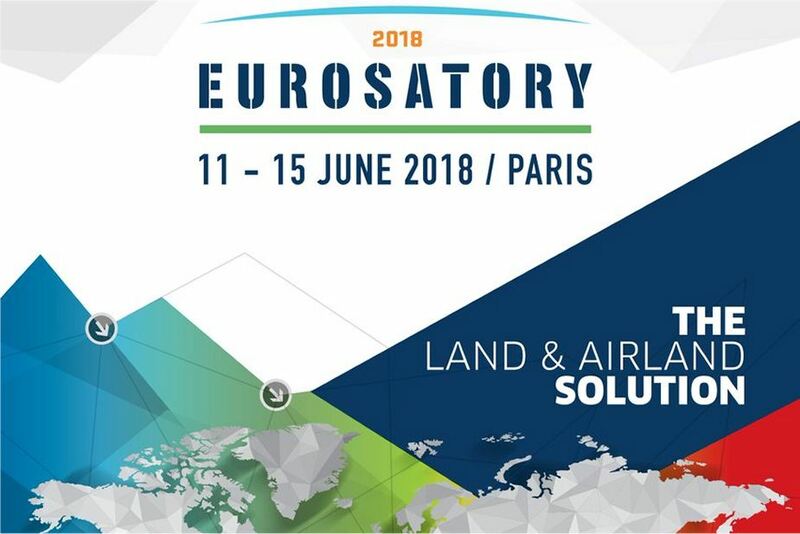 We are happy to announce that Threod Systems is participating in Eurosatory 2018. We are bringing our newest developments to the exhibition and we’ve been busy since since Eurosatory 2016! Threod Systems was a proud supporter of the cyber defence exercise Locked Shields 2018 organized by NATO CCDCOE in Tallinn. 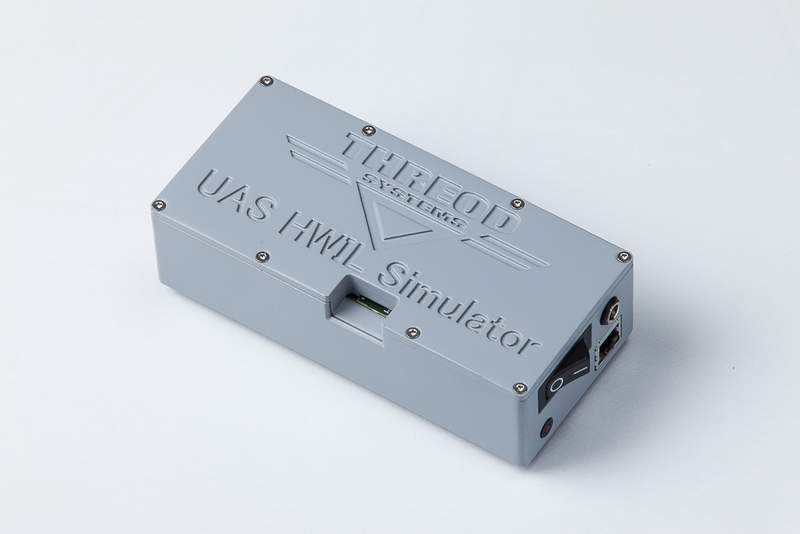 Threods simulators were used to imitate UAV-s in very complex cyber environment. 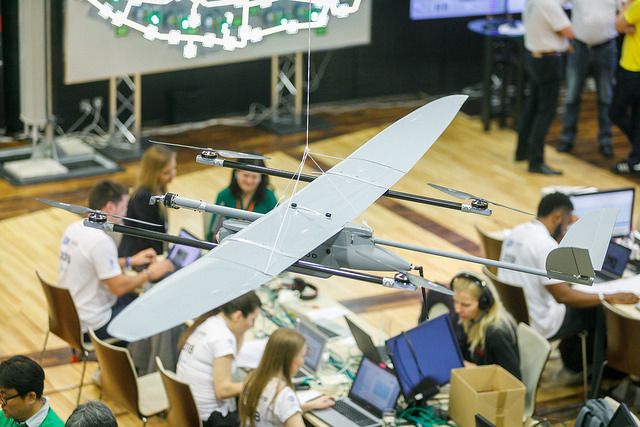 Over 1000 specialists from over 30 countries were competing each other to defend their imitated infrastructure units. Teams had to run up to 150 systems and defend them against any cyber attacks. 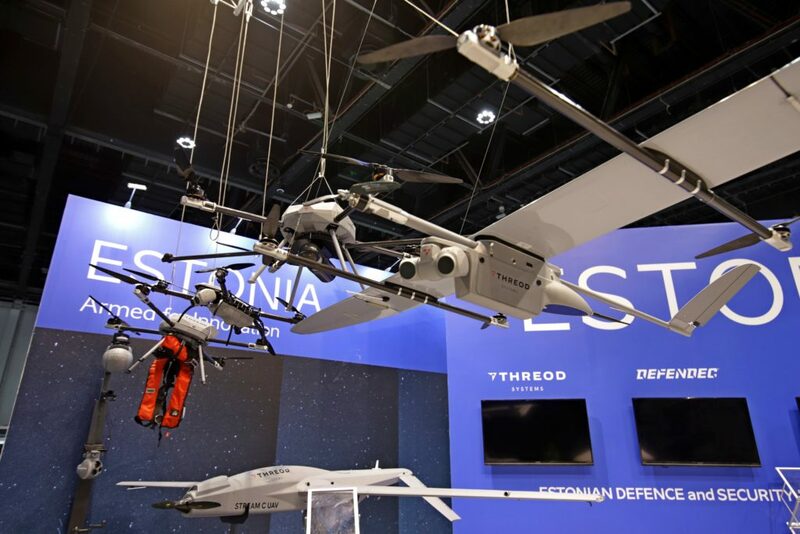 As part of the Estonian Defence Industry Association (EDIA), Threod Systems was invited to showcase its comprenhensive line of fixed wing and multi-rotor UAVs to domestic and international governmental military organizations. 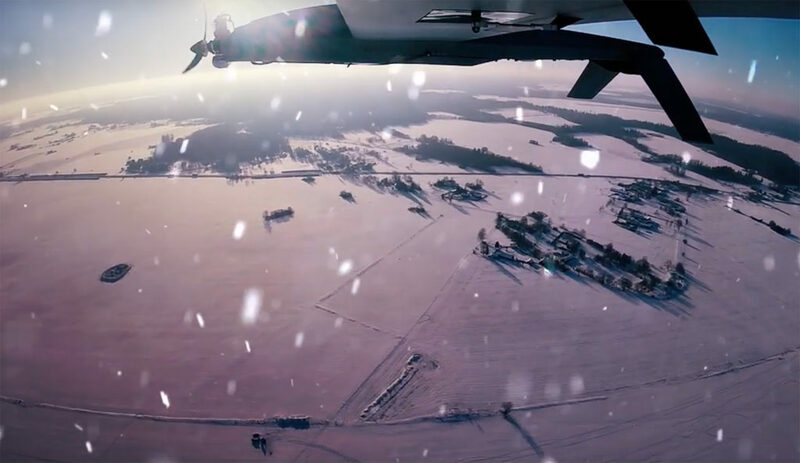 Threod Systems conducted successful flights to support artillery unit in Estonia. 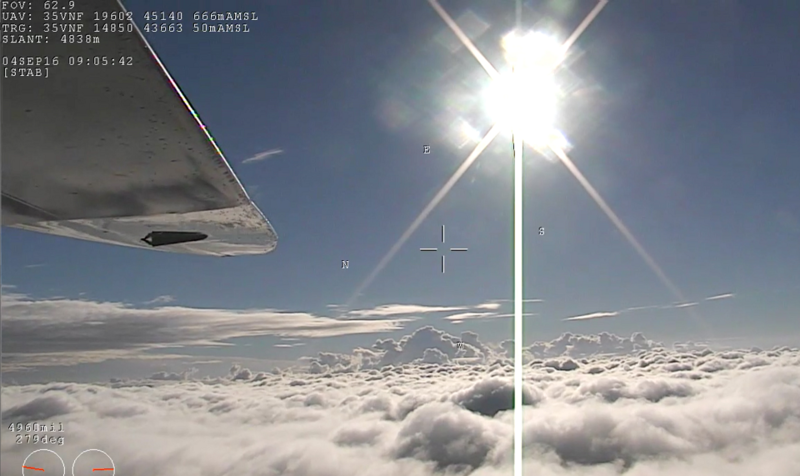 FDC got the chance to see live imagery from the EOS mini-UAV for coordinate reference and correction. 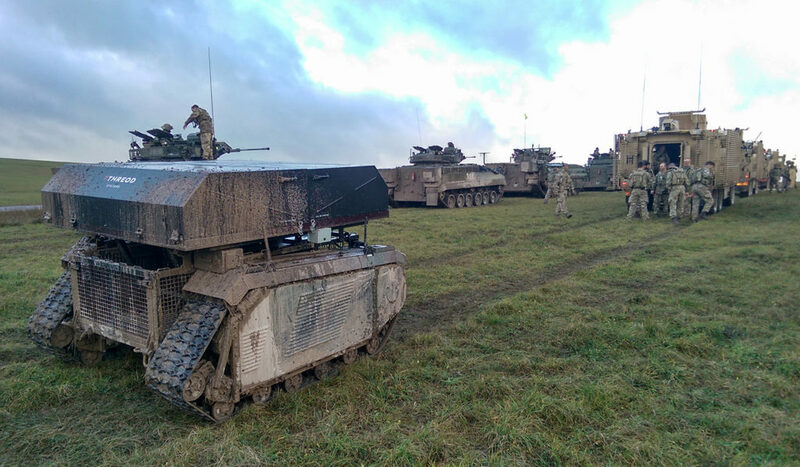 The British Army’s Armoured Trials and Development Unit is testing unmanned ground vehicle (UGV) together with unmanned aerial vehicle (UAV) deployment from the Milrem UGV. Threod Systems is a co-exhibitor of Estonian national stand at UMEX 2018 taking place in Abu Dhabi. UMEX is the leading exhibition of unmanned systems of the world. Worlds most valuable players amongst unmanned system developers are gathered at the show to show their last improvements. Threod Systems has a new look! 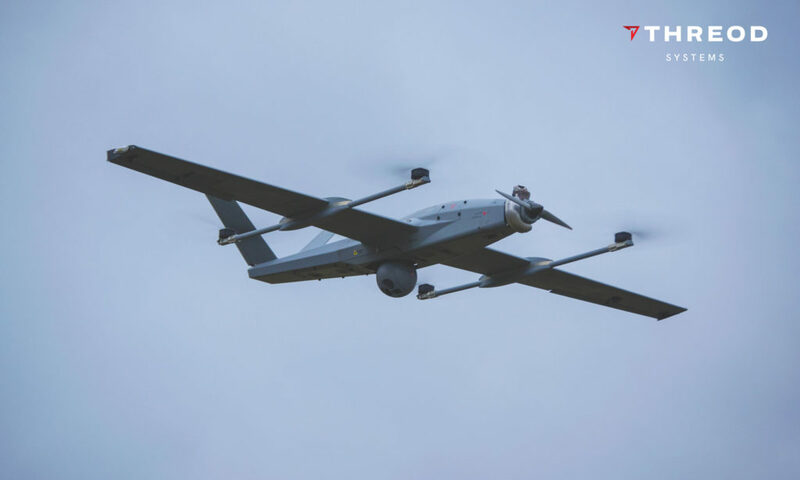 After 5 years of heavy focus on developing quality UAS, Threod Systems is maturing its approach to the branding, marketing, and other innovative facets of the business. 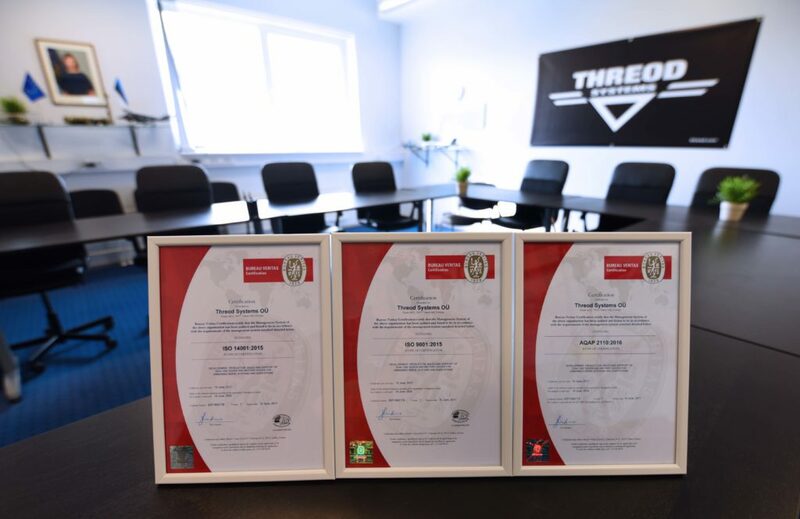 Threod Systems has established quality and environmental management systems in accordance with ISO 9001, ISO 14001 and AQAP 2110 standards. AQAP is NATO standard for quality management system. Threod Systems was presented at live-fire exercise Locked Shields 2017 with 20 Hardware in the Loop simulators to give realistic touch to the event.CCDCOE was hosting around 800 participants from 25 nations all over the world, making it the biggest live-fire cyber defence exercise. 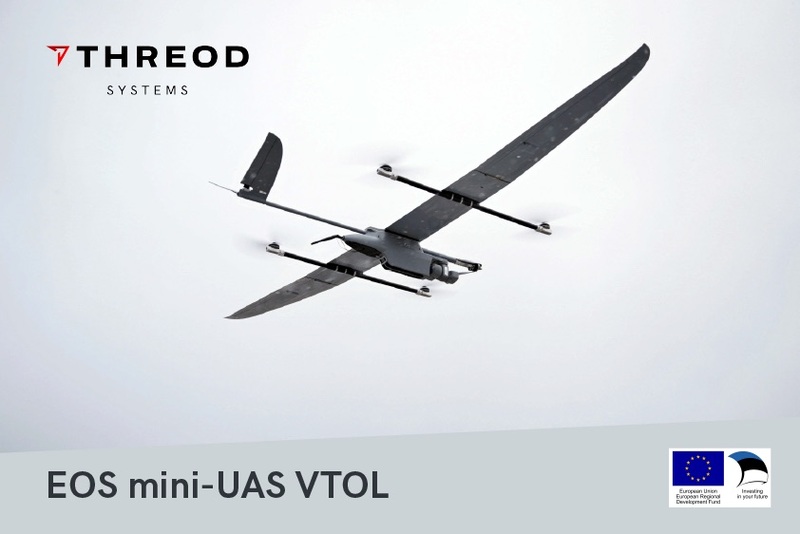 Recently Threod participated in multiple tenders, one of the projects was the mini EOS UAS production for security services procurement. One of the success factors, that Threod offered to the customer, was fast product modification possibility. 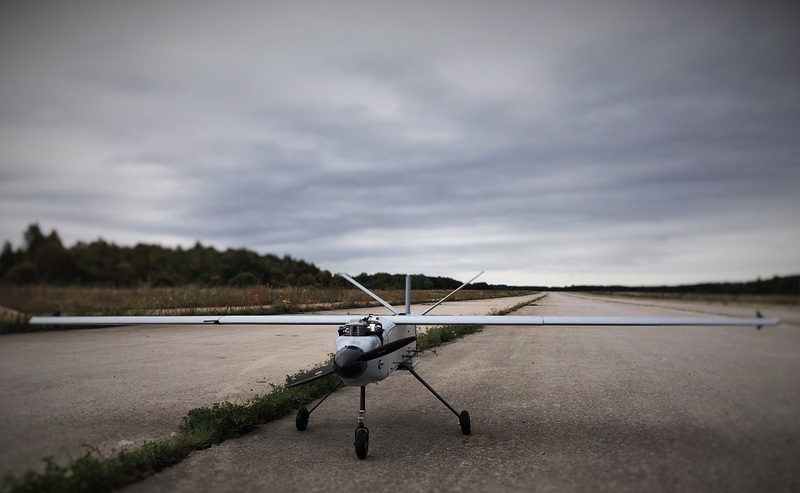 Following an integration effort by Threod engineers of its TSAP-6000 autopilot with a Sagetech transponder/ADS-B Out, a UAS test flight was attempted and proved to be an unqualified success. As a result, Threod Systems can now offer this integrated solution as an additional customization option. 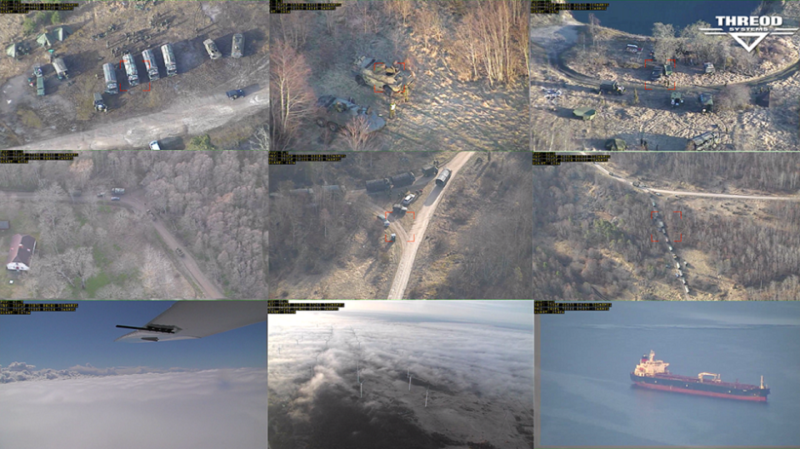 Threod Systems has developed a new generation powerful light weight gimbal solution for multiple types of UAVs. Currently the DOME gimbal is used with the long endurance, heavy lift multirotor KX-4 LE , as well as tactical level UAS STREAM. 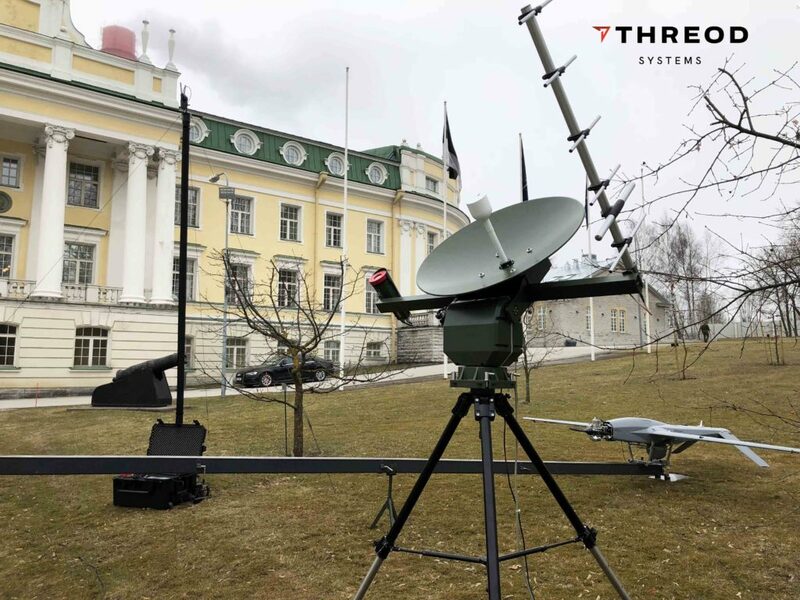 Yesterday Threod Systems performed a very successful test flight with UAS STREAM and integrated CORDIS ARRAY II communication solution in cooperation with Radionor Communication AS. 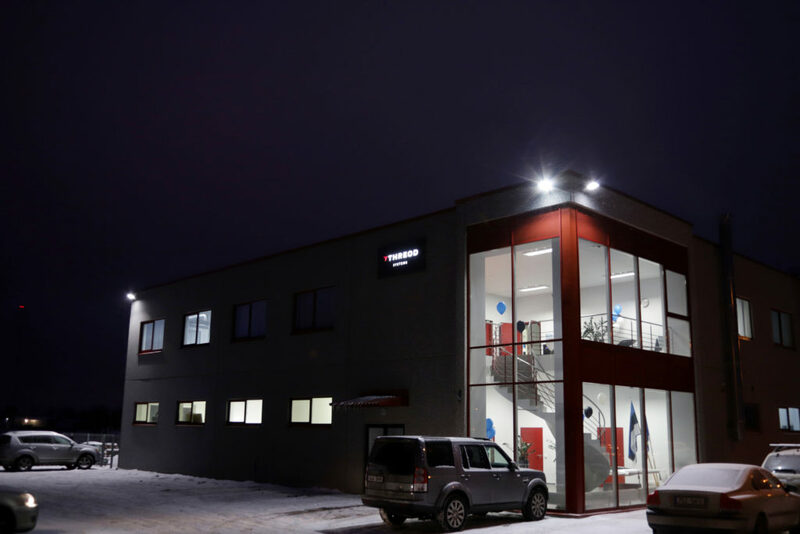 A Norwegian company that provides data links for unmanned systems. Threod Systems made it to IHS Jane’s and reffered to as an unmanned know-how. 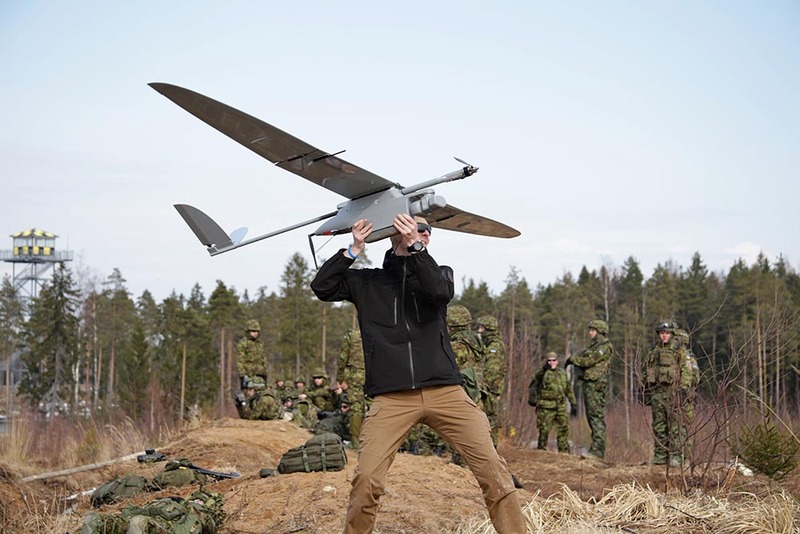 Threod EOS Mini-UAV supported Defence League battalion operations. 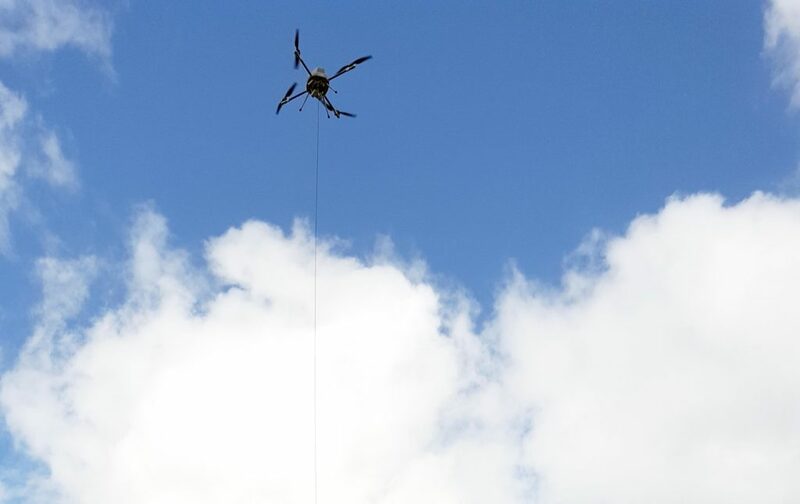 Equipped with a new EO/IR gyro-stabilized gimbal Threod UAV brought the operation C2 to a totally new level. A renewed cooperation agreement was signed between Threod and Aviation Academy. Both parties share mutual beneficial interest in the fields of UAV technologies, aviation flight regulations and safety. 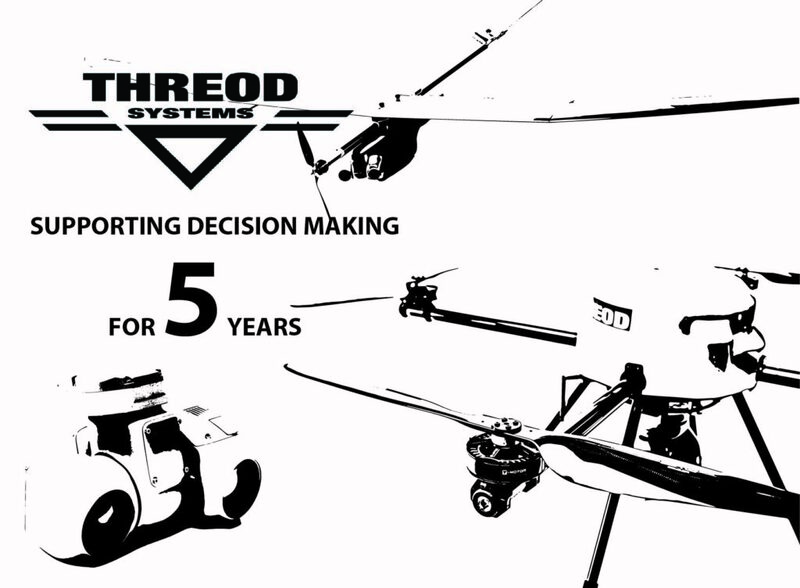 Over the past 5 years, Threod Systems has evolved from a brash startup to a serious contender in the commercial and military UAS market through rapid R&D and an ever-expanding portfolio of customers. 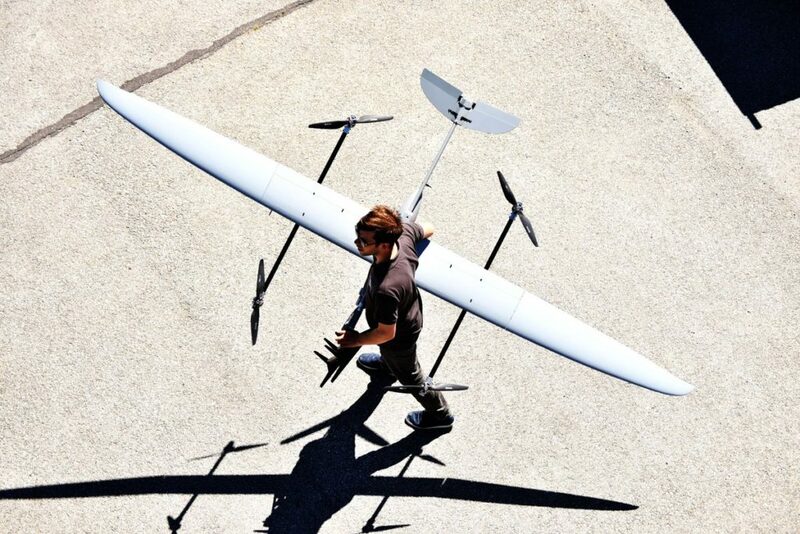 Threod Systems is developing bolt-on VTOL option for EOS mini-UAV. VTOL system helps decision makers launch the system in narrow conditions. 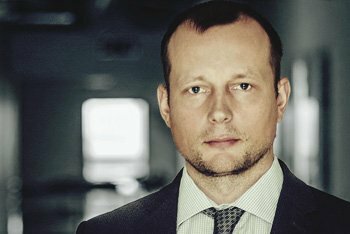 Previously head of business development at the unmanned aircraft manufacturing company Threod Systems Mr. Villiko Nurmoja recently took over the CEO position.